The Plesiosaurs are a group of long-necked marine reptiles which lived from the Late Triassic Period into the Late Cretaceous. 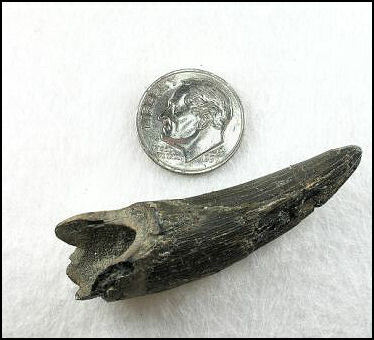 Cimoliasaurus magnus is the only species found in New Jersey. While scarce, teeth and isolated vertebrae occasionally turn up in the streams of Monmouth County. 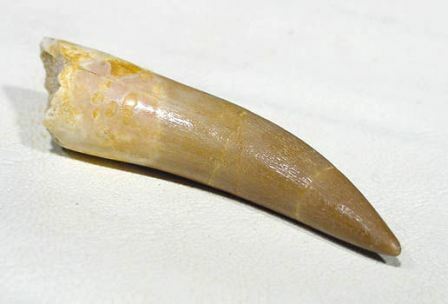 The teeth of Cimoliasaurus magnus are conical becoming more flattened toward the tip. They are long and slender with striations and possess no cutting edge, these teeth range from ½ to 2 inches in length. The vertebrae are very distinctive, the ends are flat and the sides have three distinct holes, one on the top and two on the bottom. The size of these vertebrae can range from 1 to 4 inches depending on the size of the animal and the position of the vertebrae within the spine. 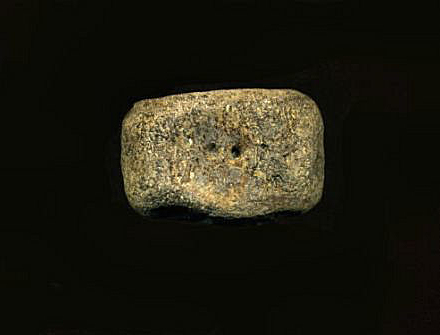 Authors's note: The description and images of the vertebrae are that of a typical stream worn specimen. ( 5 3 click here for an image of a complete vertebrae ). The top or dorsal side of the vertebrae has one hole. The distinguishing two holes on the bottom or ventral side of the vertebrae. 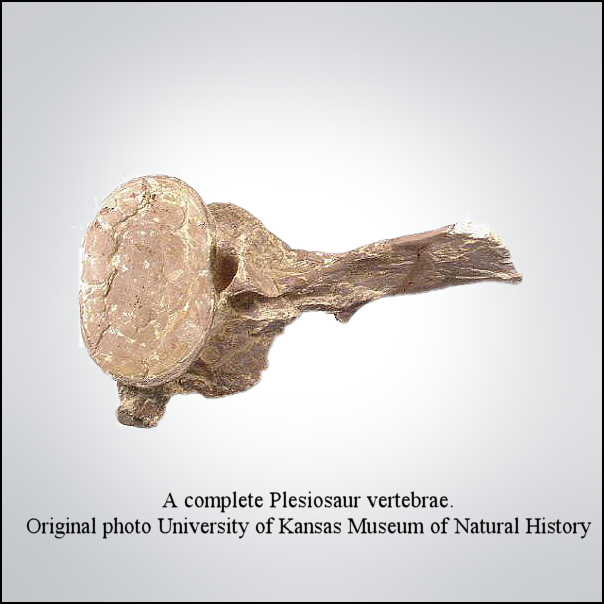 The vertebrae of Plesiosaur has flat ends.